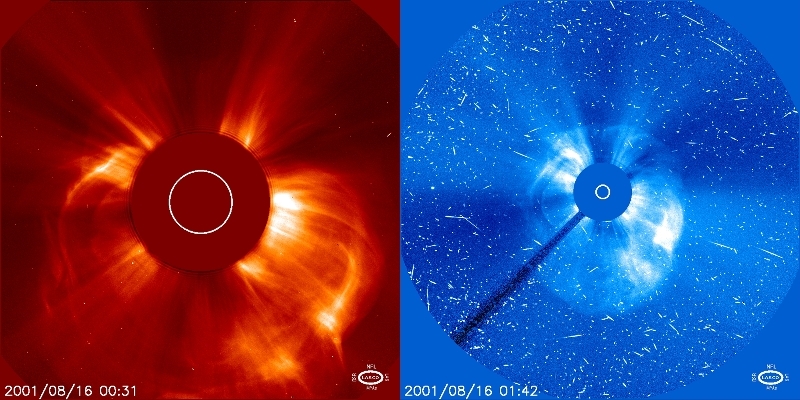 A coronal mass ejection (CME)on August 16, 2001, is captured by the LASCO C2 instrument as it first erupts (left). Just over an hour later in a wider view from LASCO C3 the CME is also accompanied by fast, high energy protons that have struck the SOHO spacecraft's detectors. This larger view encompasses 30 times the radius of the Sun.